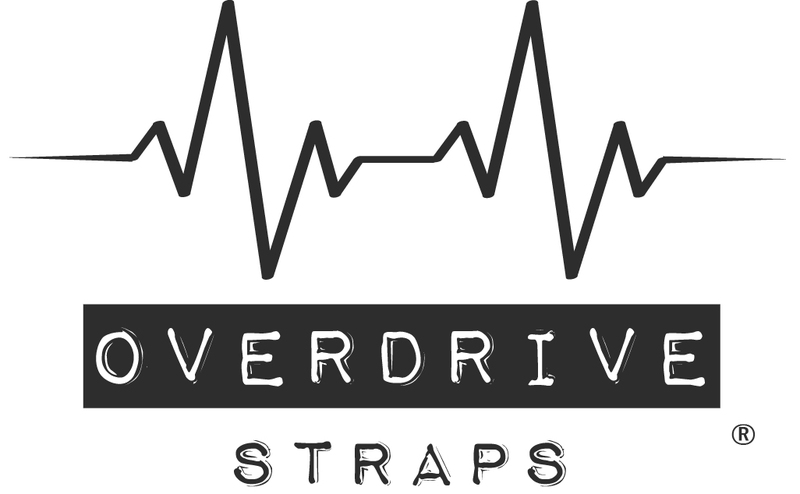 Overdrive Straps were born out of a great passion for music and guitars. Music represents more than just sound.. just picture your favorite 'Rock Stars' with their impressive stage presence and striking gear! Inspired by beautiful music and guitars, we make straps that are true eye catchers and stand out! With a picky taste for good quality guitar gear, we were disappointed by the lack of sturdy and good looking guitar straps.. and so 'Overdrive Straps' was brought into life early 2015. Each Overdrive Strap is hand made with the greatest care at our workshop in the Netherlands, Europe. We only use the best of materials, coming from the Netherlands, USA and Germany. 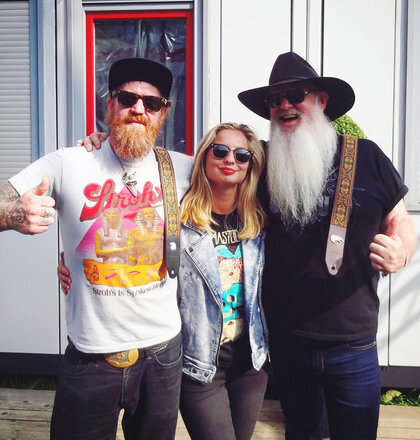 Overdrive Straps are made by power duo Cissie and Justus. 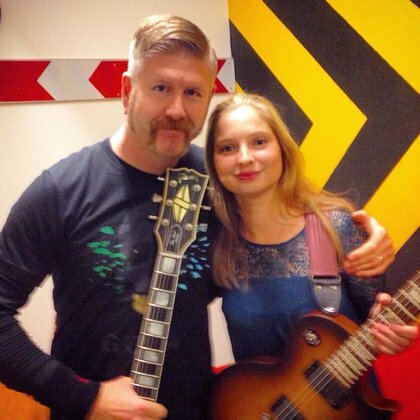 Greatly inspired by rock music; both Cissie and Justus picked up instruments in their early teens. Justus started playing drums and Cissie picked up a dusty 12-string guitar (with only a few rusty strings), which was soon to be replaced by an electric guitar set. 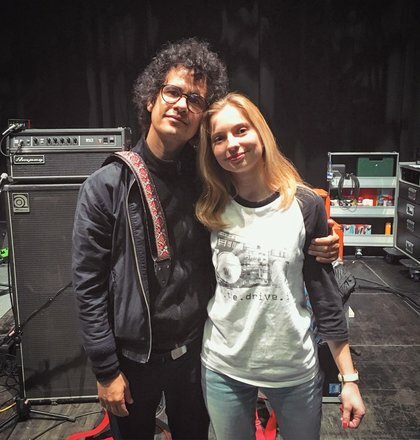 Then, the stars aligned and they met each other when they started playing together in high school bands. Justus is a graduate engineer now, which is why our straps are pretty darn well designed and put together! As popular 'YouTube star' Cizzie, receiving over millions of views, Cissie got known for rocking out to the heaviest guitar songs. She got to meet and also play with many of her idols. 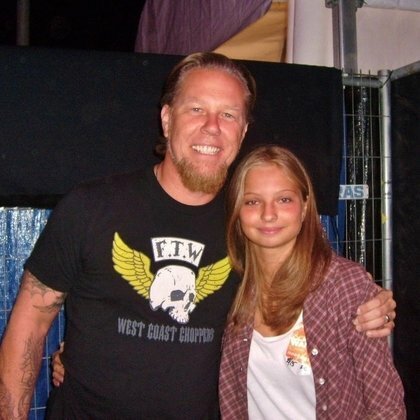 The biggest highlight being the legendary Metallica. 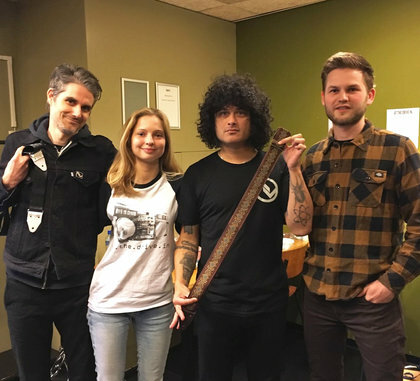 Also guitar heroes like Omar Rodriguez-Lopez (The Mars Volta/At the Drive-In), The Smashing Pumpkins, Eagles of Death Metal and the guys of Mastodon are amongst the legendary guitarists that can be spotted rocking Overdrive Straps! - Check out our cool artists page!